Rolling Stone called it the greatest song of all time (Pitchfork called it number four). Greil Marcus wrote a 200+ page book about it. 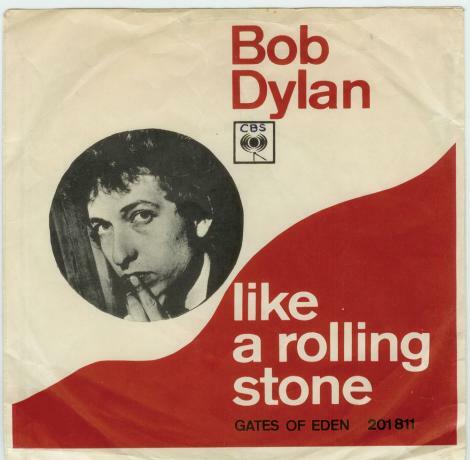 How can I sum up “Like A Rolling Stone” in a single blog post? I’m not even sure what to say about it, frankly. I read the Marcus book this morning and he does a great job talking in tremendous detail about the shifts in musicality across its six minutes, the subtle differences in each verse, and the huge impact that the song had on American pop music. But even the great Greil Marcus is left in the end noting that the whole thing was a fluke. If Al Kooper hadn’t shown up… If he hadn’t been too intimidated by Mike Bloomfield to play guitar… If producer Tom Wilson had thrown him out of the studio…. If Kooper actually knew how to play organ… So much random chance coming together to produce the greatest song of all time. All the key parts are well known. Dylan “vomiting” out the lyrics at the typewriter, more than twenty pages and then culling from that something usable. The improvised organ playing of guitarist Al Kooper. The snare snap that announces the song’s arrival like a bullet. What I didn’t know is that the single was released dual sided: split in half. Marcus notes that this wasn’t the first six minute pop song (he cites Ray Charles’s “What’d I Say” and the Isley Brothers’s “Shout”), but it was the first to be such a success at that length. DJs initially played only the first side, but because that side ended after the first line of the third verse, listeners could tell that they were missing out on something, and demanded the whole version. The song was released at a time when The Beatles and Rolling Stones were escalating the pop music stakes, with Dylan arriving to trump them both. Decades later, of course, the Stones would even have to take their shot at covering it. 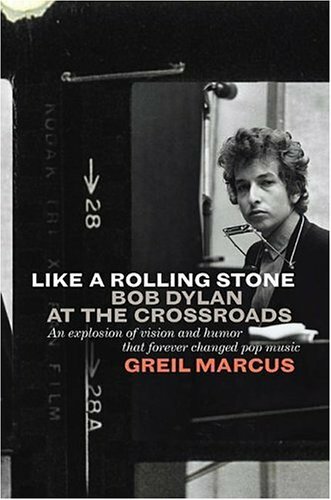 Greil Marcus’s Like a Rolling Stone: Bob Dylan at the Crossroads is good, but not great. His digressions are often the best material in the book, and they are frequent. Marcus noted one of the things that I had noted myself, but since he wrote it first I can’t plagiarize him: Dylan was 24 when he wrote this song, and by that age he had written every song that will be mentioned in the first paragraph of his New York Times obituary (“Blowin’ in the Wind”, “The Times They Are a-Changin'”, and “Like a Rolling Stone”, probably in that order). Nothing that he would ever do after would ever be as important. That must be quite the thing to have to live with. One of the amazing things about the song is that no one else does it justice. There were lots of contemporary covers (Marcus reports that Dylan and Al Kooper would buy them to listen and laugh at them) and they were all terrible. There are better versions of a lot of Dylan’s songs than Dylan’s versions, but that’s not the case for “Like A Rolling Stone”. It’s simply the perfect mesh of singer and song. The music video from last year is awesome, by the way. If you haven’t seen it you really need to. I don’t think I can embed it, so click on the link.